Eggs are a commonly used ingredient in food production across all markets. Egg protein can also be found in personal care products, like shampoo. This prevalence is the key reason for including egg as one of the Big 8 allergens under scrutiny. What causes the egg allergen reaction? There are as many as 23 proteins in egg. However, the allergens are in the egg white, not the egg yolk. 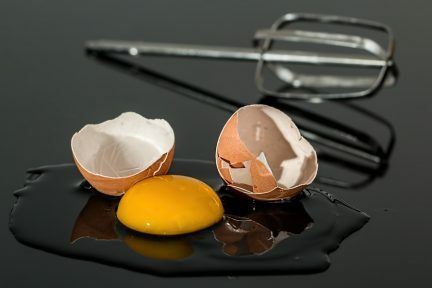 There are three major proteins of concern in egg white: ovalbumin, the major allergen present in the highest proportion; ovomucoid, another egg white protein responsible for the majority of allergic reactions; and ovotransferrin. It’s not just chicken eggs that present a problem for people with an allergic reaction; any bird egg can cause the same discomfort. Other types of eggs, such as goose, duck, turkey or quail, can all cause the same levels of allergic reaction. The protein contained in the white of the egg is common across many species. It’s also difficult, if not impossible, to completely separate the white and yolk in food processing, so people who have an egg allergy need to avoid any egg content altogether. As with many allergies, children are impacted the most. Current estimates are that as many as 2% of all children have an egg allergy, but about 70% of that number will outgrow it by the age 16. Generally, egg allergy affects less than 1% of the adult population. Of course, as with any allergy, reactions can span mild discomfort to serious shock. Any time a manufacturer is processing allergen-laden ingredients, there is a risk of cross contamination in any product produced in the same facility. This risk carries on to ingredients. For instance, pre-made, dry pastas usually don’t include egg, but it’s quite possible that they were processed on machinery that was used to make egg-containing products. A plant that uses dry pasta as an ingredient must still take precautions to ensure that the dry pasta they bring in has not been contaminated in the pasta-making facility. What are some unexpected places where Egg can be an ingredient? Eggs can make an appearance in many foods, causing concern for consumers that react to the presence of egg proteins. Of special concern are the egg substitutes that actually contain egg protein. Where else has egg been surprisingly used as an ingredient? Eggs are sometimes used to create the foam on specialty coffee drinks. Some cocktails contain egg, for example a pisco sour or a Ramos gin fizz. Most commercially processed cooked pastas contain egg. Egg wash is sometimes used on breads, bagels, and pretzels to create a golden crust and/or help the salt adhere to the dough. Egg protein is also used in personal care products, like shampoo. It can also be included in lotions and crèmes. Egg yolk lecithin is used in pharmaceutical products. Some seasonal flu vaccines can contain egg protein. As a word of warning, it is possible for some flu vaccines to contain egg protein. The CDC publishes a seasonal statement on the current status of which vaccines are safe for patients that have an adverse egg protein reaction. In the EU, wine must be tested for egg. Ovalbumin from egg whites is used as a clarification aid in wine-making. The clarification process is used specifically with tannin-rich red wines. The amount used varies greatly among wine producers. In addition, wine must be tested for milk and sulphites. There is an AlerTox Wine kit for testing wine for all three. Early sensitization to allergens can lead to asthmatic reactions. Wine exported to the EU must be tested for several allergens, including egg. Most patients react to doses of egg in the mg to g range – in controlled challenges, 5 per cent of the patients will react to doses below 5 mg, whereas 50 per cent will experience symptoms when ingesting an amount above 100 mg. It is important to know the threshold dose for individual patients, enabling them to implement a tailor-made avoidance strategy. Allergic reactions can be fast, after ingesting or even coming into contact through touch an egg. The AlerTox Sticks Egg kit recognizes Ovalbumin, which is a glycoprotein that comprises 54% of the total proteins of egg white. AlerTox Sticks Egg will not detect the allergen presence in samples that have been exposed to high heat for an extended period. (higher than 212°F for more than 30 minutes.) Emport also offers an two AlerTox Egg ELISA tests: one for checking foods/beverages for egg proteins, and another specifically for detecting egg in wine. Contact us for details. Egg Allergy on the F.A.R.E. site and the A.C.A.A.I site.